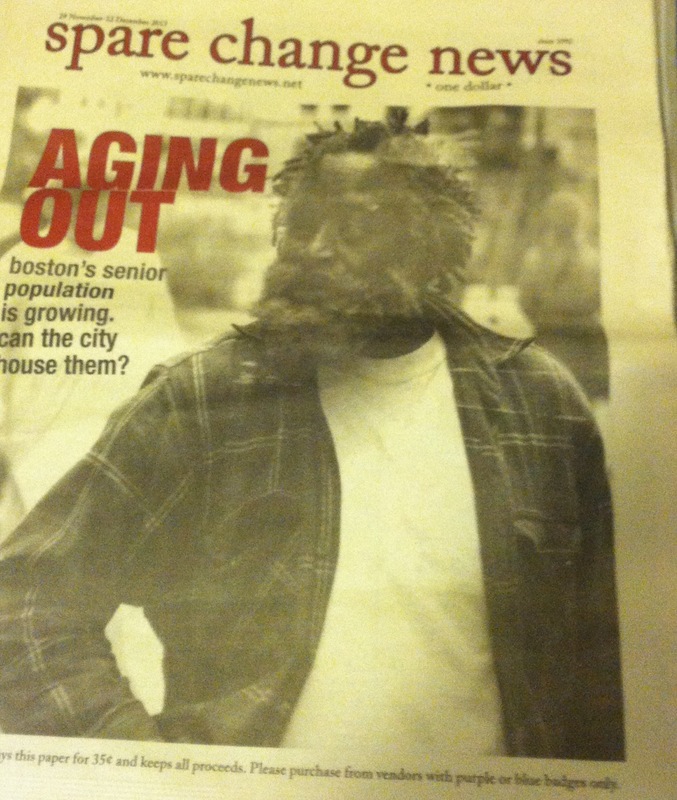 Every morning I walk by the same homeless man who sells a newspaper written by the homeless. I can hear him from a block away – spare change paper, get your spare change paper to help the homeless. He sounds like a vendor at a baseball game. This guy also has an uncanny resemblance to Bubba Gump, with a pronounced underbite and deep Southern accent. I’m not sure what he’s doing in Boston. I half-expect him to start talking about shrimp. Few acknowledge this man. I’ve never seen anyone buy the paper. I’ve walked past him about 100 times now, maybe more, so I thought in the spirit of the holiday season I would purchase a copy. As I’ve since learned, the man I walk by isn’t homeless – maybe he once was, but now he’s a member of the Homeless Empowerment Project. Their goal is “to present, by our own example, that homeless and economically disadvantaged people, with the proper resources, empowerment, opportunity, and encouragement are capable of creating change for ourselves in society.” There are about 100 vendors across the state of Massachusetts who work with the organization to sell the paper. Each vendor pays 35 cents for each copy, then sells it for $1. The organization undoubtedly does great work. They not only raise money to feed and house the homeless, but they give them an outlet to express and create, to be a part of a community. But, well, if you think this is a blog post about how wonderful the paper is, then you’re wrong. The paper is terrible. Some of the articles are outrageously biased and mean-spirited. One article compared JFK and Barack Obama to criminals, calling them propaganda artists who undermine democracy. There was, however, one column that stood out positively. It was called another year to be thankful, and it was written by a homeless man who had nearly died two years earlier. He was addicted to painkillers and had severe health problems – on Thanksgiving night, he was rushed to a hospital after one of his lungs collapsed. He has since recovered and is now a member of the board of directors at the Homeless Empowerment Project. So, yeah, the paper wasn’t great, as I pretty much expected. But I like the guy who stands at the same corner every morning. It’s comforting to know that he’ll be there tomorrow.